Aidan O'Brien will send his first ever runners to Chelmsford this week, in a bid to bolster his claims and form the road for potential international runners in the future. The magician from Ballydoyle will be expecting U S S Michigan to prove his class in the inaugural running of the £60,000 Woodford Reserve Cardinal Stakes - race four in Essex on Thursday which commences at 3:35. The three-year-old grey - who struck in a rearranged maiden at Dundalk at the beginning of March will be joined by stablemate and nursery scorer Antilles, who are both among the nine-runner field for the valuable mile event, which sits as the last of seven European races which form the 'Road to the Kentucky Derby' series. Horses that run in the qualifiers gain points depending on their finishing position, with the highest earner receiving an invitation to compete in the real Kentucky Derby itself, at Churchill Downs on May the 4th. The winner of the new Cardinal Stakes will receive 30 points in the series, enough to promote them to the summit of the standings. The two eligible horses this time around in the Chelmsford field is the O'Brien-trained U S S Michigan as well as the Paul Cole's Shir Khan, who won a novice stakes at Wolverhampton back in November. Dark Vision - bought by Godolphin towards the latter stages of last season, is another horse to fear in the field, but O'Brien believes he's got the sort of horse that can make a stamp on the states down the line. (Credit: Racing Post) He said: "I've never had any runners at Chelmsford before and if we were to have a horse for the Kentucky Derby it would be U S S Michigan. "He's a big, long-striding cruiser and we always thought he would get a mile and further. He would look the right sort of type for the race. "Last year was a good experience to witness it [Kentucky Derby], to see what it was about. It was totally ruthless. We learned a lot and the fierceness of the whole thing surprised us. "It was a good experience to witness it and there are things we need to improve on. We know that now," he said. The series is certainly of high value, with this year's Dubai World Cup runner-up Gronkowski winning another useful Conditions Stakes in Britain twelve months ago at Kempton, on his road to America when with trainer Jeremy Noseda. Although he skipped the real thing, he went onto finish second to Triple-Crown winner Justify later on in the Belmont Stakes for new chief Chad Brown. 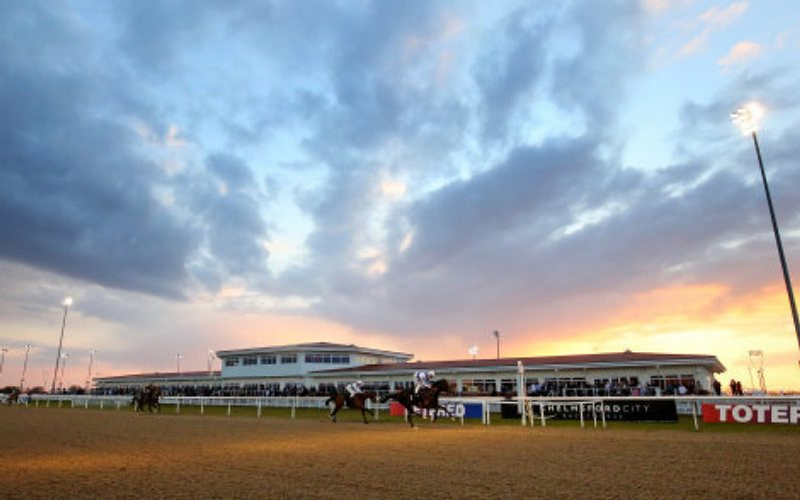 The new conditions race at Chelmsford has attracted many top names from Britain and Ireland, which has thrilled racecourse manager Fraser Garrity. (Credit: Racing Post) Garrity said: "We’re delighted with the strength in depth for the first running of the race and to welcome our first runners from Ballydoyle. "At around this time last year I got in touch with Mike Ziegler at Churchill Downs and said we’d love to be part of the series and a slot was available to us after the Burradon [at Newcastle] was tied in on Good Friday, which is later than usual this year. “We’re really chuffed with how it’s come together and to have two runners that are eligible to qualify and have a live chance of earning their slot in the Kentucky Derby on Thursday adds another dimension to the race. “I plan on going over to Kentucky to see the race since it’s on my birthday – I thought I’d treat myself!" he said.